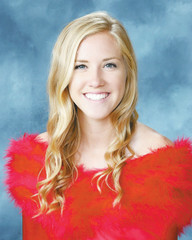 Elisabeth Darlene Burks is Reydon’s senior class valedictorian. She is the eighteen-year-old sister of Heather Shaw. She has been involved in basketball and softball all through elementary, junior high, and high school.